Home > Health > What is Healthy Meal Plan For Weight Loss? Like any of the resources that are integral to our survival, our willpower is non-renewable. We start out our days and weeks with a preset amount of will power that gets used up rapidly in small decision-making tasks from what we should wear to what we should say. When we resort to cooking up something, we fall back on fast foods and dirty meals. Why do you need to plan meals for weight loss? Healthy Meal Delivery Services prevent you from crashing midway because you have plan A, B and Z to resort to when you cannot figure what will be healthy and happy for you to have for dinner. Meal planning takes off one thing of your daily to-do list, freeing up time for you to treat yourself with nothing but the best on no matter how hard the day has been going. Meal planning allows you to give all the important things their rightful place in your menu. When you plan a menu beforehand, you get to choose what goes in there. Meal planning gives you the opportunity to stick to your New Year’s resolution of treating your body right and having your doctors’ recommended portion of fruits and vegetables. Even on days when you feel like putting no effort into cooking or eating whatever your first craving is, a meal plan reminds you of an alternate meal that you set out for yourself that will not only gratify you in the moment, but something your future self will also be grateful for. How can you play your meals for weight loss? Our elementary school food pyramid has been cutting out portions for us from the time when we were learning our ABCs. It is time to take it into consideration a little more when it comes to picking from the dinner table. Yes, you can have that mug of eggnog but do not skip out your portion of fruits and vegetables. Life is not cruel enough to forbid you the heavenly holiday foods you crave all year, it is only a balance you must create between all the foods from the table. Remember your food pyramid and you will have no extra weight to worry about, just a healthy holiday glow from all the portions you make up. The way people let themselves go is quite literally by letting themselves “go”. Holiday weight is not unavoidable – in fact, it may result from people’s belief that there is no stopping holiday weight so they indulge with no stoppers. Have set quantities that you have allowed for certain foods and have rewards and penalties for how well you abide by those limits. They may have laid an entire dish of creamy baked potatoes but that never means you are entitled to seconds and thirds. Remember the commitment you have made to yourself – not by complete abstinence but by only a little of a good thing. It keeps the novelty factor running and keeps your body and mind happy. What kind of meals should you include? Let us deal with the most culpable foods that cause weight gain: untimely, unhealthy snacking. 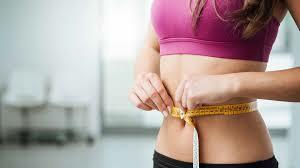 Let us first talk about the alternatives to ensure weight loss meal planning. What’s better than a snack that is equal parts healthy and exotic? Cucumbers are refreshing, high in anti-carcinogenic elements, and are a perfect pair with hummus which is made of chickpeas, garlic, and olive oil – effective in reducing inflammation and improving heart health. With a cup of cucumber and hummus at only 180 calories, go ahead and curb your cravings with this delicious snack. Perhaps one of the most popular weight-loss and health friendly foods, two hard boiled eggs measure at only 140 calories with high protein, vitamin K2 and B12 content. Considering how filling they are, they keep you away from additional calories for hours. A new study finds that eggs do not contribute to risk of heart disease, contrary to popular belief. This leaves no reason why these are not an “egg”cellent choice. Nutritious, popular, and satisfying – avocados have it all. Try having half an avocado sprinkled with salt and cayenne pepper for a delectable snack that scores only 130 calories per serving, but also rewards you with high fiber, potassium, and magnesium – protecting your skin from the sun, improving health of arthritis patients, and lowering LDL cholesterol. Those tiny plant compounds are much more powerful than they seem. They contain potent antioxidants and monounsaturated fats that equip them to fight inflammation, cancer risk, and insulin resistance. With 25 olives measuring at only over a hundred calories, toss them into your next salad for the Mediterranean feel as well as boost in health. Satisfy that craving for sugar with the natural sweetness of a piece of fruit. Fruits are abundant in antioxidants, vitamins, and fibers. They require next to no preparation, nature does for you. Have a portion of nature’s candy such as grapes or wholesome bananas or tangy oranges. There is a plethora of flavors waiting for you. You are what you eat and no one can be helped if they do not want to help themselves first. You must understand why you are doing what you are doing in order to make sure your cheat days do not develop into stretches of weeks where you just fall off the wagon. There is an indestructible bond between what we eat and how we feel, and the other way around. If you strengthen your mind, there is no reason that your body will have to suffer. What you choose to eat may be affected by how you feel or the context you find yourself in. If you feel like you are having a particularly tough week, you may resort to ‘comfort food’ as a way to placate your emotions. If you are stressed, you may start missing meals, or even eating too much. What you do not see is that in these behaviors, there are cognitive connections that keep you from living a balanced life. Let us take a look at what you can do in order to be able to live a free and full life. Clean eating is not just about shedding the unwanted way. It is about choosing things that make you feel better about being yourself. In this day and age, everything goes through a plethora of processes before it makes it to your plate, so when you consume one thing, you are unknowingly introducing your body to so many other things as well. These may be foods of convenience of flavor, but they are leaving your body and mind weaker and unhappier, and you cannot even see it. Since you are what you eat, processed foods can make you look processed too.